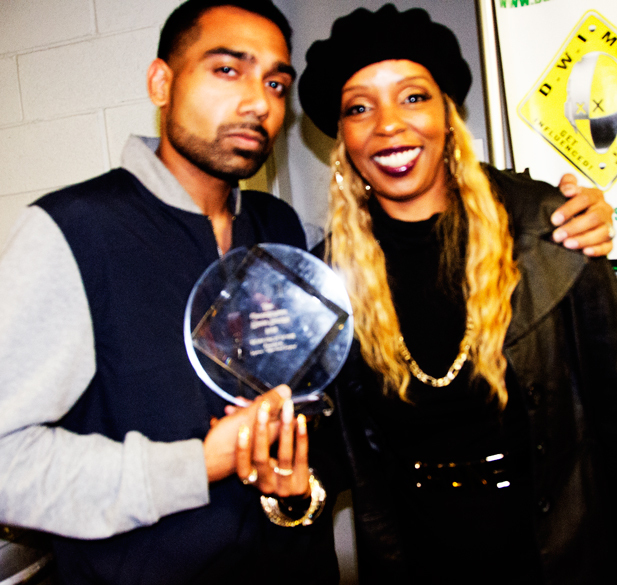 Lazarus just joined the legion of star studded winners of the Underground Music Awards. Last week, we wondered if he could enter the winner’s circle which boasts previous winners like Nicki Minaj, Machine Gun Kelly, J. Cole, MIMS, Papoose, and countless others. But finally, he did it. 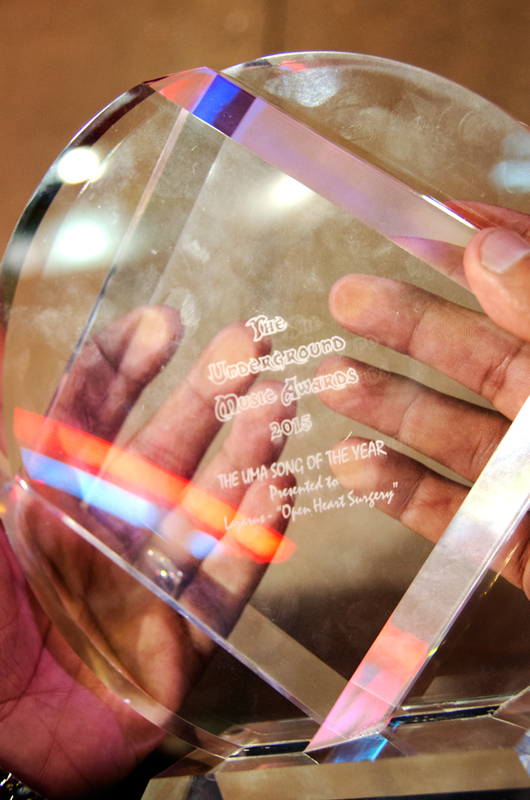 He was called on stage to snag the award for Song of the Year! It was a packed night in Time Square. Every single neon light that they could find were turned on, the line outside the legendary B.B. 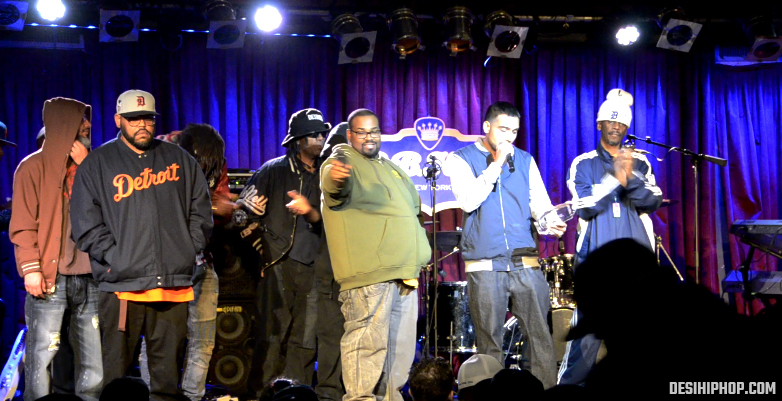 King House of Blues was getting longer and longer. The buzz was on, and every one outside the House of Blues felt the energy. Inside, artists were running around getting ready for an amazing night. 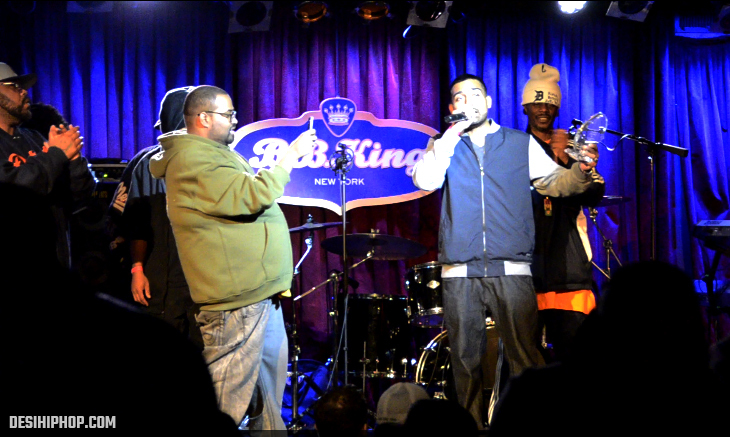 The hosts at the B.B.King House of Blues were preparing to give away awards to some of the dopest underground artists from around the nation. They knew that some of these gifted artists that they are recognizing will eventually go on to win MTV awards, BET awards, and even the Grammys. The night was ready to be huge. Eventually, when curtains opened, the house was full. The artists were ready. The camera crews from different music outlets around the country had their batteries charged up, and ready to go! 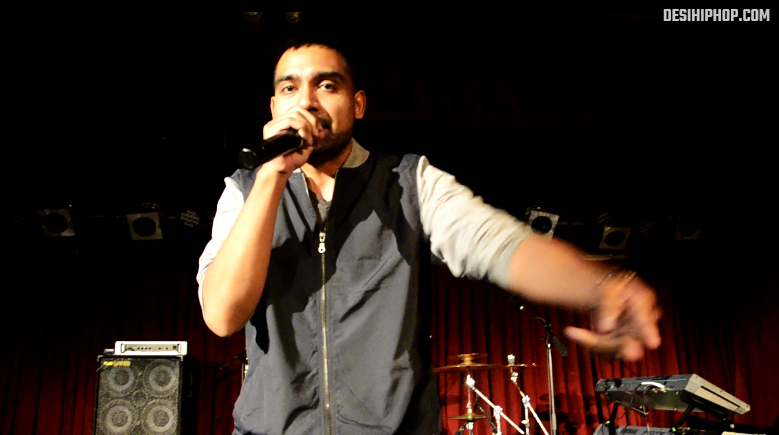 Lazarus, Rebel of KhanArtists, and I were the only 3 Desis in the building – and we knew we were going to leave gaining the respect from the entire crowd. After a dope performance on stage, the crowd were on their feet applauding this Doctor-Rapper, admiring his skills on the mic and his dope flows. As he rapped the lyrics to ‘Open Heart Surgery’ and ‘Underdog’, New York was certainly impressed. The one Desi artist that they’ve seen perform live in a long while just killed it on stage. New York started throwing business cards at us, everyone wanted a piece of the Laz action. Legendary emcees and past winners like Rah Digga and Michael Bivins made it a point to talk to Lazarus and get to know this new Desi Artist who’s taking over the streets. Soon after the performance, the #LazArmy waited anxiously to know the nominees for ‘Song of the Year‘. You could feel the anxiety – it was all sweaty palms and nervousness in the Lazarus camp – excited to know who wins. And, voila! Lazarus was called to stage, and the House of Blues exploded with applause! Lazarus did it! He made history by being the only Desi artist to win an Underground Music Award and join the likes of MGK, Papoose, and countless others. At this point, all the media outlets at the event swarmed Lazarus for interviews. 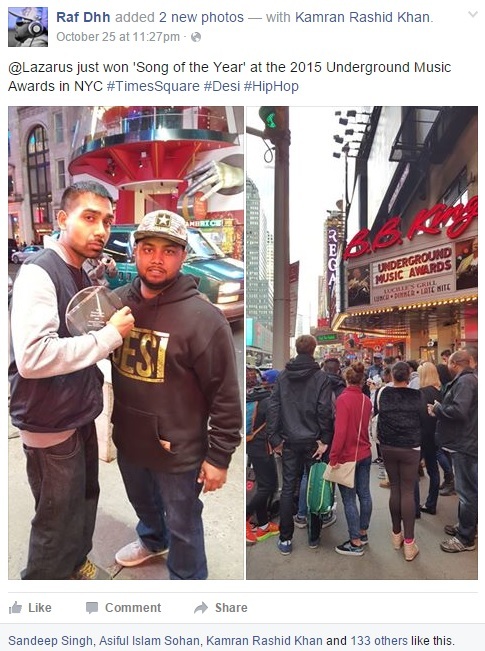 As the man answered every question professionally, I couldn’t help but feel proud to see a Desi artist make impact in the mecca of Hip Hop in NYC. The night was a success, but it was going to be a long one… the party just started, and it was 1AM in Times Square! Exclusive Videos from the Night Droppin’ Soon!